Here are some quick ATCs to show you using the new Background Grunge stamp set by Pam Bray. 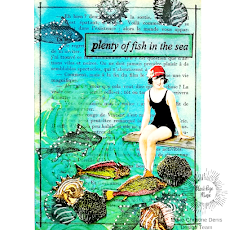 To create the backgrounds, Add paint and then stamp textures over the top. 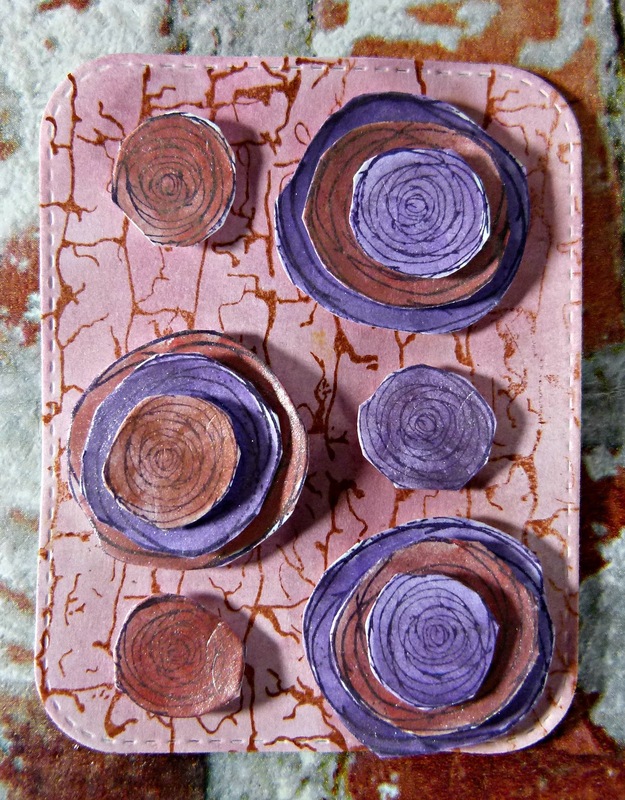 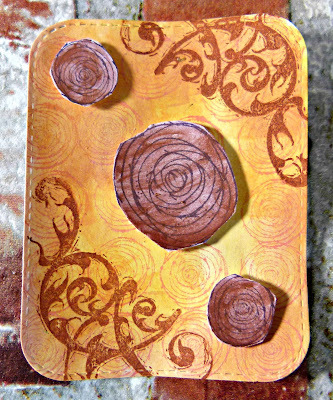 Stamp out the circles onto card stock and colour them in before adhering them to the ATCs. 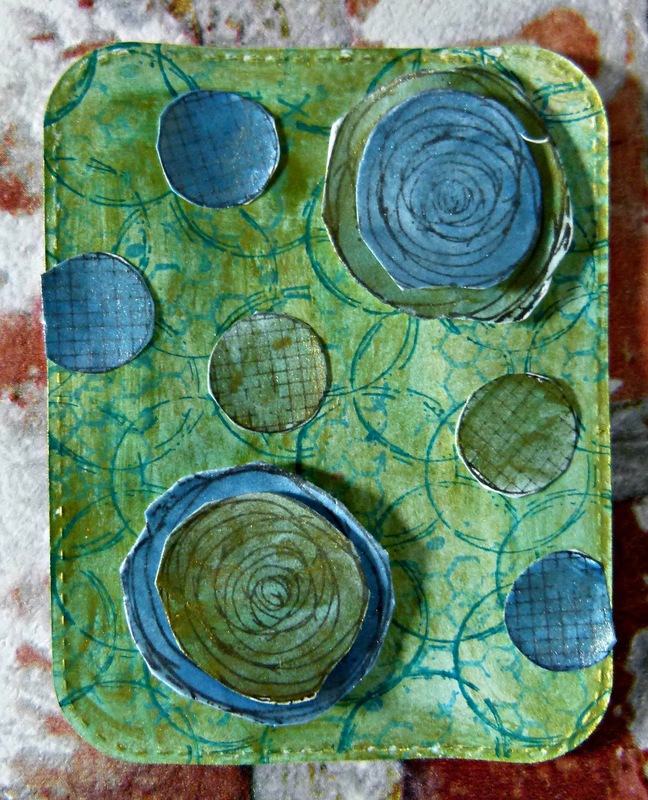 Create different style of ATC by changing colours and combining different texture stamps.